WHAT IS OPERATION CHARLIE MIKE? "Charlie Mike = Continue Mission"
Operation Charlie Mike is for the problem-solvers. It’s for the do-gooders, the risk-takers, and the motivators. It’s for the early risers, the fighters, and those who refuse to quit. 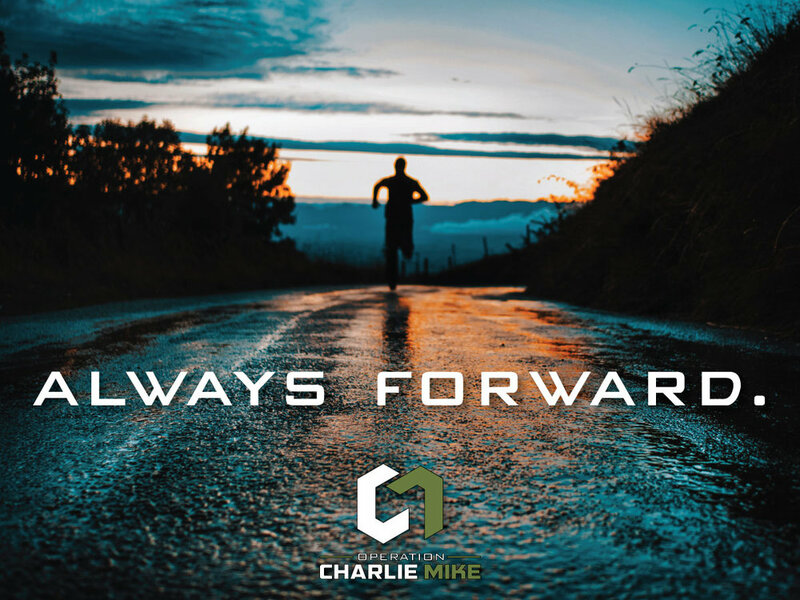 It's for those who take a breath, get back up, and "Charlie Mike." Our mission is to find the go-getters, the dreamers, and those who are eager to make a difference in their communities. To use our profits to support their individual goals, businesses, or charities. To get there, we’ll work with dedicated business owners to build capital. We’ll offer unique, quality products from books, to clothing, to accessories you never knew you needed. Every item purchased brings us a step closer to helping the community leaders throughout our country. To helping those with a purpose. To giving back to those who have already given so much. Always striving. Always determined. ALWAYS FORWARD.